A conical mug for the newlywed or an anniversary gift. The Mr design can be made extra personal by adding the surname of your choice. The Mrs design can be made extra personal by adding the surname of your choice. A conical mug set for the newlyweds or an anniversary gift. 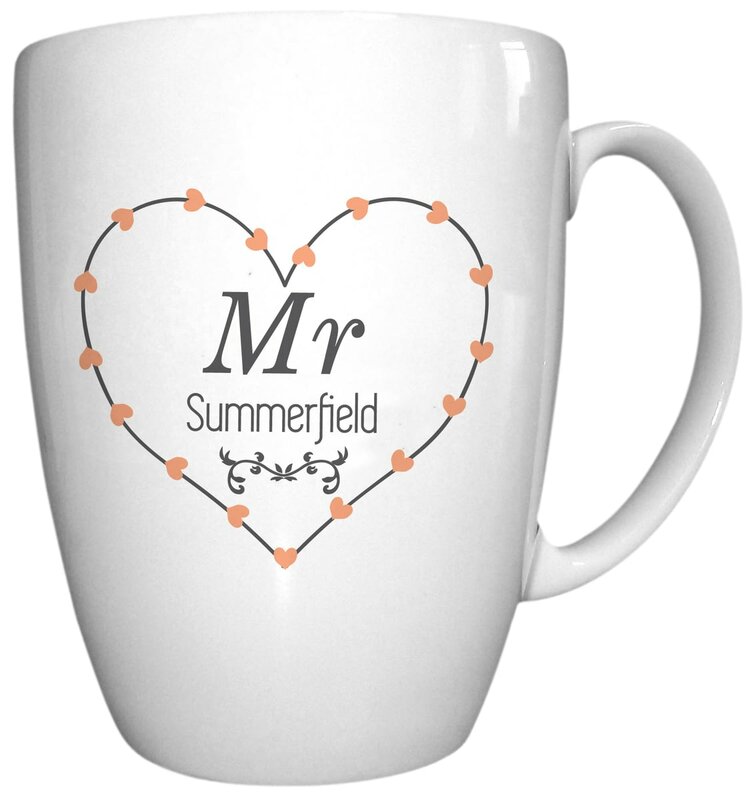 The Mr & Mrs design can be made extra personal by adding the surname of your choice. Commemorate the Bride & Groom's special day with a personalised cushion cover. Personalise this quirky set of hi ball glasses with two names of up to 15 characters. A chic and simple black and white design runs across one side of this beautifully made ceramic mug, which we personalise by adding initials of your choice.